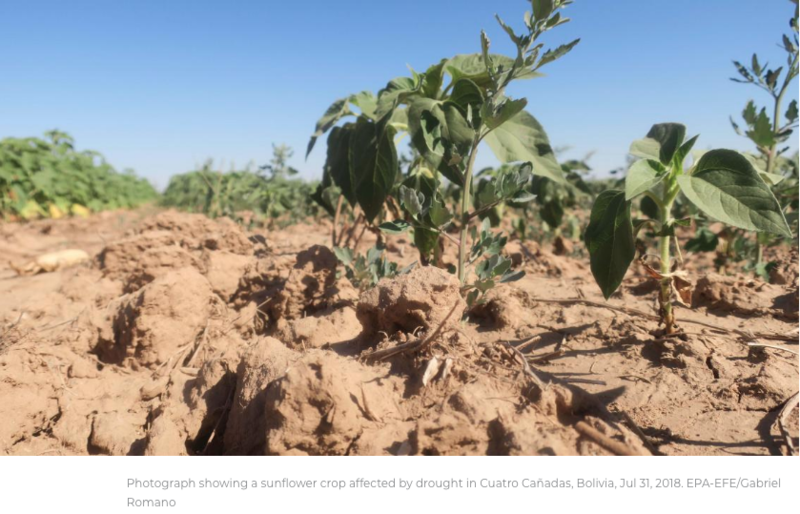 Drought and pests have wreaked havoc on crops in the Bolivian province of Santa Cruz, producer of as much as 70 percent of the country’s food. Bolivian Thoughts opinion: As sadly expected, the populist demagogue government of evo, does little if nothing about this important issue. evo likes to talk and praise about the power of agriculture, he also knows he needs the support of Santa Cruz to remain in power … empty words and nothing in substance, despite holding absolute control of ALL State powers.